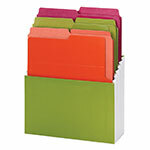 The Organized Up Collection is a unique solution that lets you store documents the way you read them - vertically. 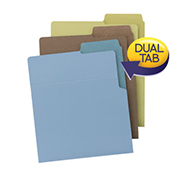 It offers a full filing solution, with folders, one-pocket portfolios, thee-pocket portfolios and a file case that all work together to keep you organized. 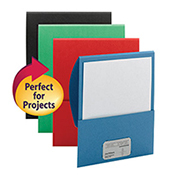 This collection of innovative, quality products offers options for everyone, whether they prefer to file on the desktop, in the file drawer or shelf, or even on the go! 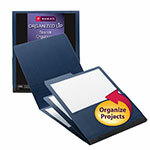 See organization from a whole new direction with the Organized Up Collection from Smead. 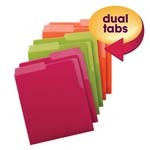 File documents in the same direction you read them. 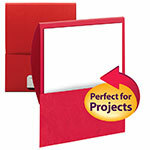 Keep your desk neat and clear. Folders work great in backpacks and computer bags.